Molasses Creek Journal: News from Ocracoke Island and Beyond: Molasses Creek to join Si Khan and Looping Brothers in Concert . . . Molasses Creek given a nod in Nicolas Logue's new gaming masterpiece, Razor Coast. 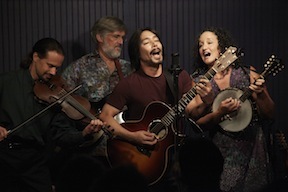 . .
Molasses Creek to join Si Khan and Looping Brothers in Concert . . . Molasses Creek given a nod in Nicolas Logue's new gaming masterpiece, Razor Coast. . .
Schools have started and although families with older kids have left Ocracoke Island, September is a great time to come for a visit and catch a show at our Deepwater Theater. 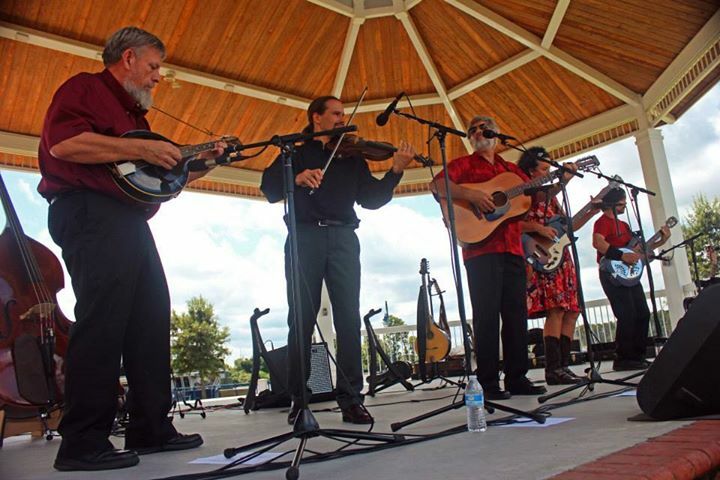 Through the end of September, Molasses Creek hosts the Ocrafolk Opry on Wednesdays and a full Molasses Creek show on Thursday. 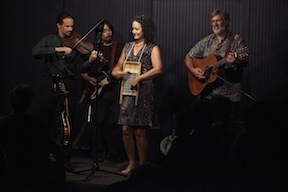 Tickets can be reserved ahead of time by calling 252-921-0260 or at the Deepwater Theater tab at www.molassescreek.com. A few weeks ago, we had a visit from a troupe of musicians and artists from New York City. Professional photographers Henry Lopez and Anna Campbell took some great shots we wanted to share with you. Many thanks to them and to Neal and Elizabeth for the great tunes! But who ever imagined that Si would make his “greatest hits” CD with a German bluegrass band? The Looping Brothers (think Ira and Charlie Louvin) are one of Europe’s most respected, experienced and best-loved bluegrass bands, having worked and toured with such bluegrass legends as Bill Monroe, the Osborne Brothers, Kenny Baker, Josh Graves and Dan Crary. 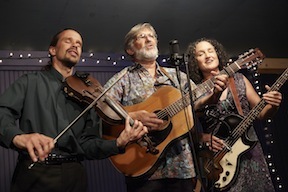 Bluegrass artists who’ve recorded some of the songs on this CD and others by Si include Kathy Mattea, Hazel Dickens, Dry Branch Fire Squad, the Krüger Brothers, Molly O’Brien, Laurie Lewis & Tom Rozum, Charles Sawtelle, The Gordons, the Red Clay Ramblers and Robin & Linda Williams. To take a listen, visit www.airplaydirect.com/music/AragonMill/. Concert tickets will be available through the Beaufort County Arts Council at www.beaufortcountyartscouncil.org. Hope to see you there! Gary recently upgraded the mixing system of Soundside Studios to computer. Previously, he mixed albums live in the recording room (an organic art form), but now he is working on a whole new level of detail on the computer! We are very excited about the remixes of the national version of the 2013 Molasses Creek Festival release he is sending our way (Due out late this year!). He even hooked up his touring cycle so he can power the whole thing by riding his 12 speed. For mixes that require his complete attention, he has the system powered by his dog, Abner, in a large hamster wheel. Molasses Creek fan, Cynthia Hall, recently adopted two Ocracat kittens when they were on Ocracoke Island. 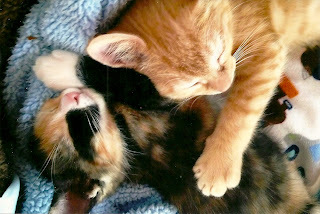 She came out to a Molasses Creek performance at Deepwater Theater and was inspired by the music to name her kitties. . . Here they are recovering from an exhausting vacation. Although Molasses Creek has yet to have any music placed on The Big Bang Theory, the next best thing has just occurred! Roleplaying gamemaster and Molasses Creek fan, Nicolas Logue, has just released an incredible 500 page campaign called The Razor Coast. In the introduction he gives a nod to Molasses Creek for musical inspiration! His kickstarter campaign raised over $123,000 to fund the release. Below is excerpt from the description on the Kickstarter page. For information on how to order visit Frog God Games at http://talesofthefroggod.com/. Thanks for letting us be a part of your magic Nick! Razor Coast is the long anticipated Caribe-Polynesian flavored, Age of Sail swashbuckling RPG campaign envisioned and designed by Nicolas Logue. It has been praised for its ambitious and original design, its epic flavor and its lurid, full-color art – including a cover by the award winning Wayne Reynolds. Logue tapped a team of veteran designers to help develop and write Razor Coast, including Lou Agresta, Adam Daigle, Tim Hitchcock, and John Ling. 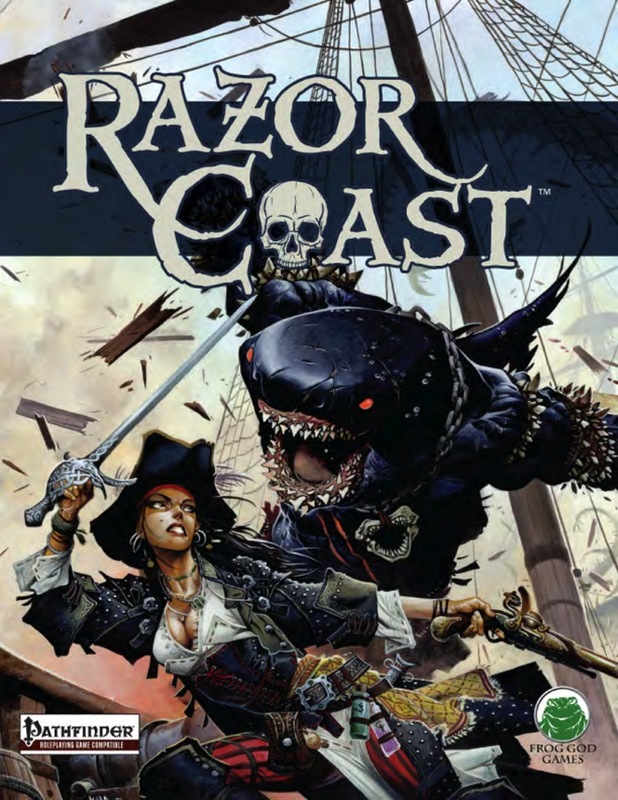 Razor Coast isn’t just an adventure, it’s part setting, part adventure path, and part toolkit to build your own unique campaign. It’s non-linear and will never play the same way twice. We filled it with corrupt municipal Dragoons, dastardly smuggling rings, weresharks – lots of weresharks - desperate naval battles, oppressed tribes craving heroes, witches, cursed islands, legendary treasure troves, an impending apocalypse or two, demon pirates, retired assassins, undead worms, gator men, failed heroes waiting to be redeemed, dark conspiracies brewing in the oceans depths, vengeful ghosts…oh – and mutating cannibal pygmies. Who doesn’t like those? 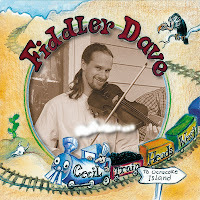 This newsletter's listening track comes from Fiddler Dave's first instrumental recording, Cecil Train Heads West. 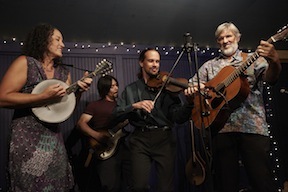 At the time of its release in 2004, Molasses Creek was comprised of Gary Mitchell & wife Kitty (who created the artwork for the album), and Fiddler Dave with occasional appearances by other guest performers. 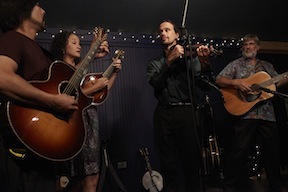 Lou Castro and Marcy Brenner were fairly new to the Ocracoke music scene and this album represents one of the first musical collaborations between Lou and Fiddler Dave. Lou added some mighty fine slide resonator guitar to this original fiddle tune by Fiddler Dave. 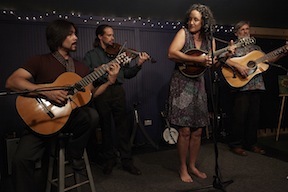 Folks who are signed up on the Molasses Creek e-News list received a link to download an mp3 of the tune (you can sign up at www.molassescreek.com/news-signup). If you are not on the list and would like to receive the tune, just email Fiddler Dave at info@molassescreek.com. The album can be purchased through the Molasses Creek store or by clicking this album picture. 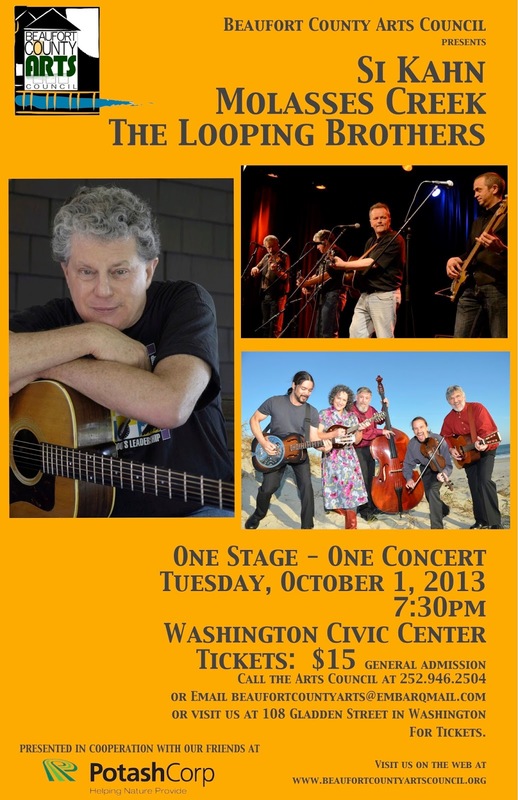 Oct 6 ~ Molasses Creek at the Carroll County Arts Council, Westminster, MD, 7 PM. Hope to see you folks on Ocracoke Island or out on the road!